That was it for Newman. He didn’t fancy an office job -- “I want to be on the field interacting with the players” was his feeling. Off he went, quietly you might think. Not really. Not at all, in fact. Newman left behind some wonderful memories for the rest of us to treasure. Towering above all his other positive attributes was his eternal optimism and the irrepressible sense of humor that supported it. Ron Newman, without any doubt, was the Bill Veeck, or maybe it was the Casey Stengel -- of pro soccer, a mischievous spirit who understood that if soccer was to be popular in the USA, it had to be entertaining too. That 1999 firing was not his first. Back in 1975 he was coach of the NASL’s Dallas Tornado when his boss, Lamar Hunt, informed him that his services were no longer required. The Tornado, said Hunt, wanted to really go places, was now looking to hire the best coach in the world. “Well, you can’t do that,” said Newman. Why not, Hunt wanted to know. “Because you just fired him,” replied Newman. A typical Newman memory, short, sharp, crackling with life and good humor. The sort of memory that stays with you, seared into your mind by that warm, genial humor. Newman then took the coaching job at the Fort Lauderdale Strikers until 1979. When the NASL collapsed in 1984, he seized what was by then the only way to make a living in pro soccer in the USA: he turned to the indoor game. With what can only be called amazing success. He led the San Diego Sockers to 11 championship finals, and won 10 of them. His coaching record for the outdoor game in NASL wasn’t exactly shoddy either -- three Coach of the Year awards, and a championship win with the Tornado in 1971. When the professional outdoor game returned in 1996, with the launch of Major League Soccer, Newman was the first coach to be hired - by the Kansas City Wizards. • During his early years at San Diego, increasingly irritated by the lack of media coverage, Newman decided that the press was only interested in baseball. The next time the Sockers took the field, each player was waving a baseball bat. A couple of hours ago I was watching various coaches in the English Premier League giving their post-game comments. A serious business. A dour Jose Mourinho, a few shallow smiles from Pep Guardiola but, really, do any of these guys actually enjoy what they’re doing? They could all learn a lot from Ron Newman, who sure as hell did enjoy himself and made things enjoyable for everyone else. No, Ron. You’re not gone. And assuredly not forgotten. 11 comments about "Today's coaches could learn a lot from Ron Newman (1934-2018)". John Polis, September 3, 2018 at 3:25 p.m. 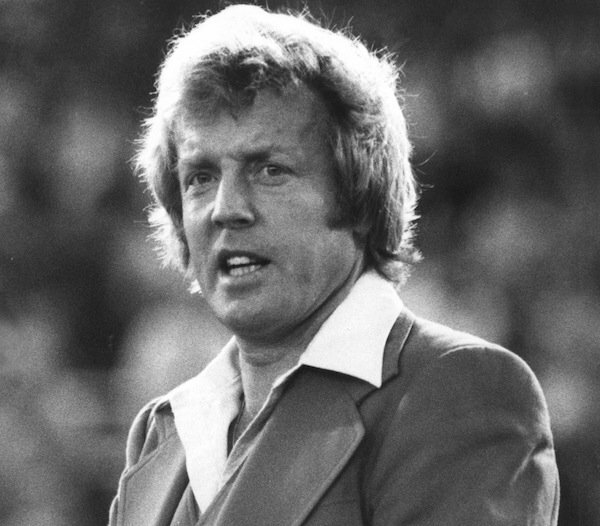 I also have many fond memories of Ron when I was a soccer journalist from the mid-1970s through the mid-1980s. And later when I was head of PR for the Portland Timbers around 1980, we were in San Diego for an indoor series. The other PR director and I took Ron to the various television stations. As usual, he was cooperative, enthusiastic and gregarious during each interview. As we prepared to leave one station, the journalist said "Coach, tell us again one more time what time is kick off?" Ron said, "The actual kick off is at 7:30, but fans might want to get there a little early, since I'm planning to have my guys there at least by 7 so we can maybe get a couple of goals up on them." But most of all I remember Ron as a master indoor tactician. As assistant coach with head coach John Kowalski, they formed what at the time was surely the pre-eminent indoor coaching tandem of their time as they steered a group of US players to the highest ever finish in a FIFA competition, second to Brazil in the 1992 world indoor (futsal) championships in Hong Kong the USA lost to Brazil in the final, to take the silver medal. It might've been a top crowning achievement in a career filled with many. No US men's team has finished higher. And I'll also remember him as one of the original guys who played for the old Atlanta chiefs in the NASL. They were the beginning of what became a kid soccer broom in Atlanta and has decades later translated into so many fans who now support the MLS team there. It was Newman, Vic Crowe, Phil Woosnam, the late Sonny Carter (who became an astronaut), Mick Hoban, Jeff Solem, and many more. George Vecsey, September 3, 2018 at 3:32 p.m.
Paul, great piece. I never met him, did not know these stories, wish I had been around him. What would Mourinho -- or Sir Alex -- think of his antics? Too bad Casey never thought of the hearse. The Mets certainly warranted it, back in the day. Always love reading your column. Gonzalo Munevar, September 3, 2018 at 3:44 p.m.
A wonderful column about a wonderful man. Ric Fonseca, September 3, 2018 at 4 p.m. Thanks PG, for a very nice column! I remember meeting Coach Newman when he was the LA (?) or was it the San Fernando Valley Skyhawks(?) that played out of a local High School (Birmingham) - and jeez, wouldn't ya know it, I've forgotten the year, maybe it was the late '70s or in the '80's?? - and yes indeed he was a nice sort, he never turned his back on anyone and always had a nice greeting and of course, that twinkle in his eye!!! Ginger Peeler, September 3, 2018 at 9:06 p.m. Thank you, Mike Woitalla, Paul Kennedy and Paul Gardner for your wonderful tributes to my most favorite soccer coach of all I’ve known, followed and experienced over the last 40 years. I would like to add Waad Hirmez, Zoltan Toth, Fernando Clavijo, and, also, Ade Coker, to the list of Ron’s distinctive players feel or the Sockers. No one who ever watched them could forget watching Waadie “walk the glass” after scoring a goal! My family was fortunate to have season tickets for most all of those seasons (except the very last) when the Sockers were winning their 10 championships. During one of the run up games to a championship (can’t remeber which), my daughter’s number was drawn for the Junior Sockers Player of the Game. They provided her with a Socker’s jersey, shorts, and socks and she was introduced last at the next playoff game, high fiving all of the players as she ran onto the arena floor. Prior to the game, Ron presented her with a soccer ball and she went to all of the players to autograph it. I borrowed a video recorder and taped the team’s entrance and all the introductions, including hers. Ginger Peeler, September 3, 2018 at 9:47 p.m. The ball control skills of Ron’s players were awesome and often evident as a player was running down the floor at top speed. I repeat, CONTROL. Despite salary caps which forced Ron to let some players go and bring in new guys who’d never played the indoor game before, he continued to put teams together that won. He even had a couple players that despised each other off the field. But Ron had them playing as proper teammates whenever they were on the field together. And his players were innovative. My daughter once copied a move she saw Steve Zungul use (to put a defending player back on his heels) the night before. It worked like a charm! One time, Ron came to our practice field and visited the boys’ and girls’ traveling teams that were practicing that day, including my daughter’s team (U12?). He was mobbed by the players and was wonderful to them and more than happy to show off his many championship rings. Ron was wonderfully easy going with all of those kids. One last Socker observation: we also had the services of an excellent referee during the Socker dynasty: Esse Baharmast who became the United States’ own world class referee. We left San Diego and moved to Arkansas. And then Ron was hired by the Kansa City Wiz. He had Preki, a scoring machine on the team. He once said that the only way to stop Preki from scoring was to lock him in the bathroom. A couple times, my son and I drove to Kansas City ,Missouri to watch a game, but it was about a 3-1/2 drive each way. Eventually, the Wiz let Ron go and I stopped following the team. Rest In Peace, Ron, and thanks for all the wonderful memories. schultz rockne, September 3, 2018 at 9:58 p.m. In the 1980s in northeastern Ohio, the Cleveland Force was all we had (Cleveland State and UAkron being the only decent outdoor soccer options). Well, the San Diego Sockers were always better. But we'd make sure to get tickets for those matches--invariably ending, sadly for us, with some Branko Segota magic--the Force's foreign players (Kai Haaskivi, Bernie James, Craig Allen, et al) were less talented than their foreign players (Steve Zungul, Juli Veee, Hugo Perez, et al)...but, Cleveland being a town perenially fifteen pounds overweight, it made perfect sense. We'd force (!) our adolescent selves somewhere to nab autographs from these magicians from the Left Coast--and we came to expect Ron Newman to be right there among their group. Always the personality of the bunch...always left us wondering--what exactly did they have that we didn't. It wasn't just perpetual sunshine. Bob Ashpole, September 3, 2018 at 10:02 p.m. Excellent tribute, Paul. You too, Ginger. James Madison, September 4, 2018 at 12:33 a.m.
Good job, Paul. Too forget that, after all, soccer is only a game. frank schoon, September 4, 2018 at 12:16 p.m.
David Richardson, September 4, 2018 at 12:43 p.m. I have a new appreciation for the coach of the Baltimore Blast's arch enemy for all of those years. Great article!